Britax is recalling more than 200,000 child car seats with harness adjuster buttons that may stick and cause shoulder straps to loosen. They company's recall focuses on several models of its Advocate, Boulevard and Marathon ClickTight car seats, all made between Aug. 1, 2014 and July 29. Britax said Friday that it will notify customers affected by the recall and send them a lubricant that can be applied to the red harness adjuster button to fix the problem. 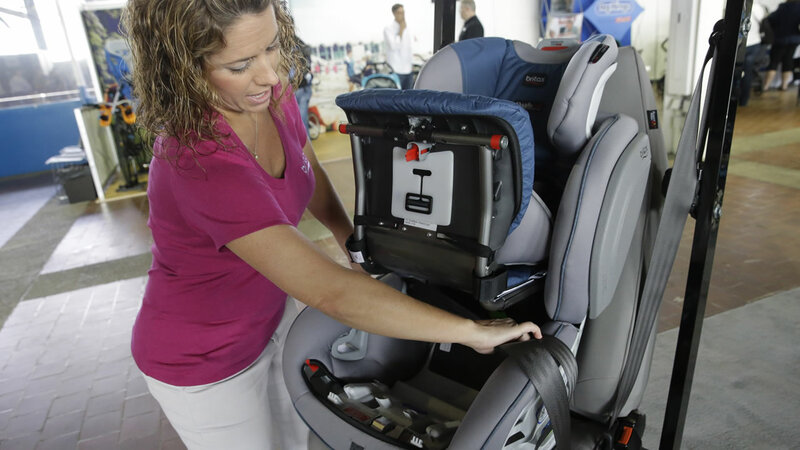 Britax Child Safety Inc. estimates that only about 1 percent of the car seats involved in the recall have the problem. The company says it learned of the issue after seeing a customer's Facebook post last month. It also found complaints filed with federal regulators. More Britax recall information here. For more product recalls, click here.